It’s interesting how many people do not see a connection between training in a gym and playing football or tennis. But a common gym workout has a lot of similarities to playing a sport, it involves concentration, practice, technique, and competition (either with yourself or against a training partner). Of course, there are differences too, but it would be fair to say that exercising in a gym and on a sports field are basically the same. Negativity is something that can affect everyone from the Olympic javelin thrower who has just messed up their first throw to the first-time jogger who’s feet are already hurting after just 50 metres. If you’re not careful, negativity can massively affect your performance and your enjoyment of exercise. In this article we will look at four methods for dealing with negativity while exercising, we will use proven techniques taught by sports psychologists to help you prevent negativity from derailing your workout. Negativity is basically the opposite of positive self-talk. It is you thinking that you are not fast enough, not strong enough, too fat, too unfit etc … It is important to distinguish between a realistic assessment of the situation, and negativity. If you have never lifted more than 50kg on a deadlift, then it is not negativity when you decide that a 150kg deadlift is a bad idea. But if you have lifted 149kg for two reps, but start to believe that 150kg is unattainable, then you are not being realistic, you are being negative. Positive self-talk is the polar opposite of this. 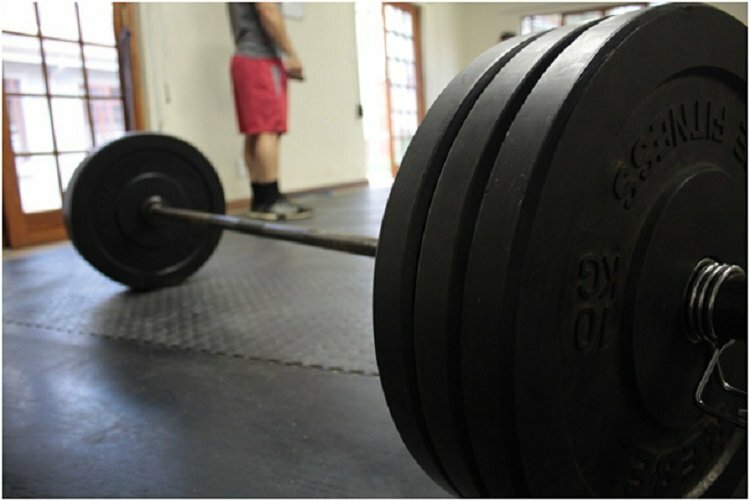 With positive self-talk you would start to tell yourself about how successful your last lift was, how with enough practice you will soon be lifting 200kg. That 150kg is a realistic achievement provided your form remains excellent. Positive self-talk is different to unbridled optimism. If we use the example from earlier of someone who struggles with 50kg, a 150kg deadlift isn’t going to be achieved just because you are really positive. Using positive self-talk will not lead to lifts that were previously impossible, the lift was always possible, but your negativity was holding you back from it. Studies have shown that positive self-talk can lead to enhanced performance, particularly when using instructional self-talk rather than motivational. What do we mean by that? Let’s use the deadlift example again. Say you’ve just failed a lift, and your thoughts have begun to spiral. As you approach the bar you decide to go over in your mind the steps for a perfect lift. “Grab the bar, push your shins against it, take a deep breath etc ….”. You have shut out negative thoughts and you are going over exactly what you need to do. This is instructional self-talk. Motivational self-talk would be the typical “Come on now, you can do this!” type of thoughts. Think of Ronnie Coleman yelling “Light weight” just before he lifted a ridiculously laden barbell. There is also evaluation self-talk, which is also useful. Where you would identify what went wrong, what the current situation is, and how you would like to improve it. All three methods of self-talk can be effective, it’s about finding out what works for you, and in which situation. Keep the self-talk short, sharp, and to the point. This method may sound a bit new age, but it is a well-known technique for calming yourself and re-establishing control. Negativity is often described as a spiral, something goes wrong, your brain reacts by accentuating the downsides and minimising any positives. At this time self-talk would be really useful, but first you should find your centre. Stop the negative talk, concentrate on your breathing, and try to relax. Focus all of your attention on an area just behind your belly button and try to “centre” all of your energy here. This mental task can help to reduce anxiety and calm you. A 2000 study on Ice Hockey Goaltenders found that combining self-talk and centering led to an improvement in performance. Try this if you are exercising and find that negativity is threatening to affect your performance. Another way to combat negativity is positive mental imagery. This is similar to motivational self-talk, but goes a step further. This involves picturing yourself succeeding at the task you want to achieve. If you were about to serve for the game in tennis then you might spend a few seconds imagining exactly how you would achieve an ace. You’d imagine serving the ball into the far corner at such a speed that your opponent could not reach it. The serve itself might not actually resemble your mental image, the opponent might reach the ball or your accuracy might be slightly off, but studies have shown that creating a mental image of what you want to achieve can help improve your performance. It can also help to prevent negativity by changing your narrative. If you are playing a sport and your team is not doing well then your mind can start to spiral into negativity. One way to stop doing so is to focus on the present. Instead of worrying about what has just happened, or worrying about what is about to happen, you instead focus on what is happening right now and stay in the present. This can help increase your concentration, increase your control, and prevent negativity by boosting your confidence. 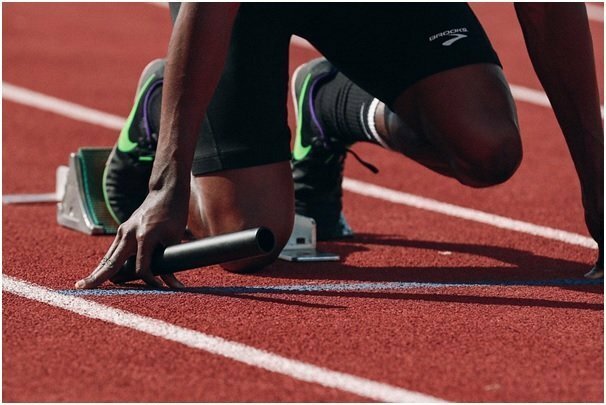 The techniques mentioned above have been used by elite athletes for decades and are slowly being adopted by regular people. They can be applied to almost any sporting/gym-based situations. Thinking positive is very important for increasing confidence. When you are negative and anxious, your chances of getting a personal best bench press are basically zero. But reverse that negativity by centering yourself, imagining your success, and using some motivational self-talk, and suddenly your chances are looking a lot better.